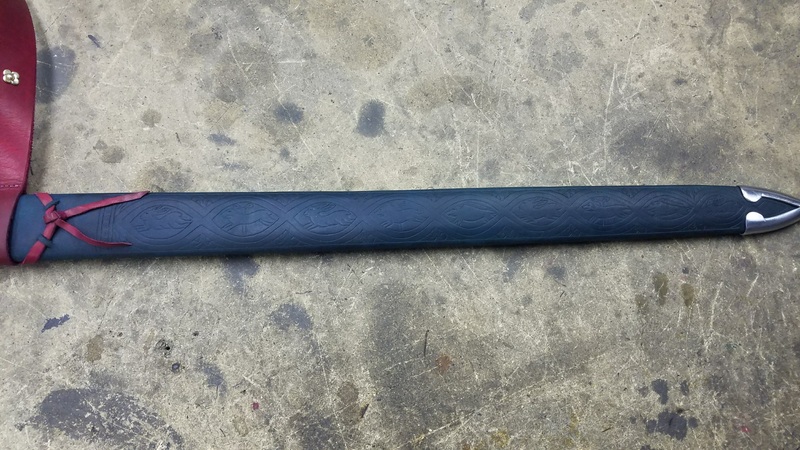 Here are a few swords I have recently finished up and they are on their way to the customers. The first one is a messer based off an example sent by the customer. We used a few other paintings to finish out the piece. 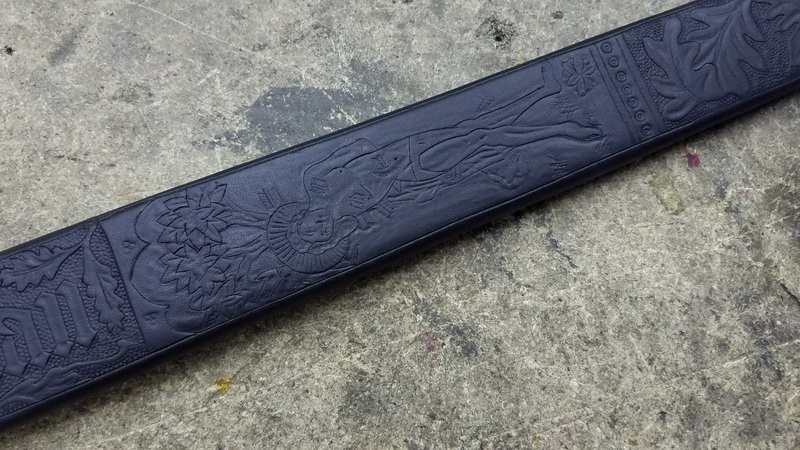 The scabbard is a wood core and depicts Saint Sebastian and his martyrdom. 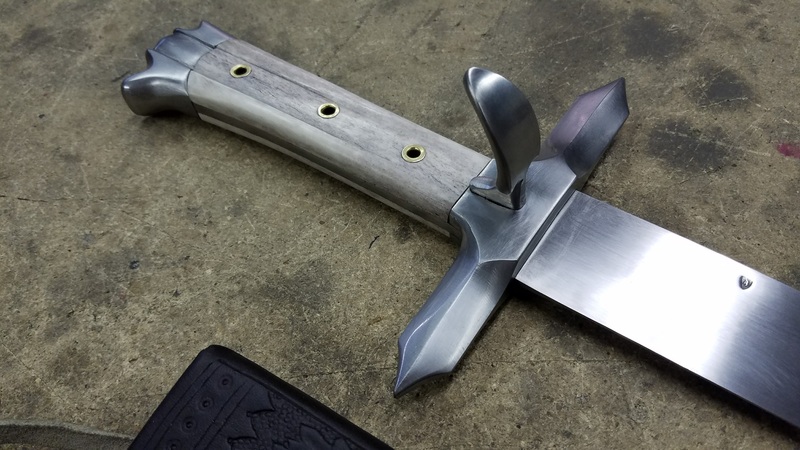 Here are the specs: Overall length: 35.625" Blade Length: 29" Blade Width: 1.5" Hilt length: 6.625" Grip Length: 4.5" Balance Point: 3.875" Overall Weight: 1021grams or 2lbs 4oz. 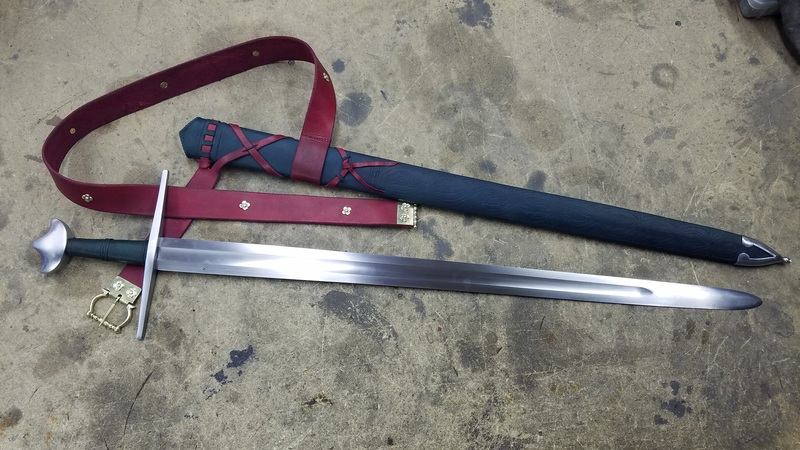 This second sword is a 13th Century sword loosely based off a few examples. 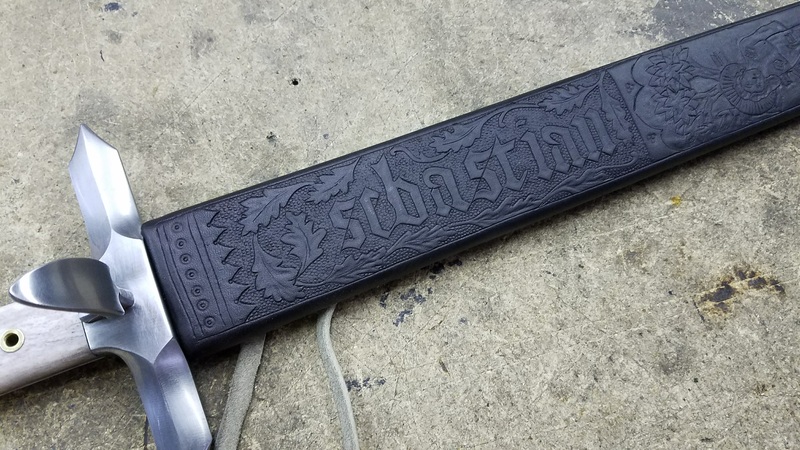 The scabbard is also wood core and has a motif of animals. 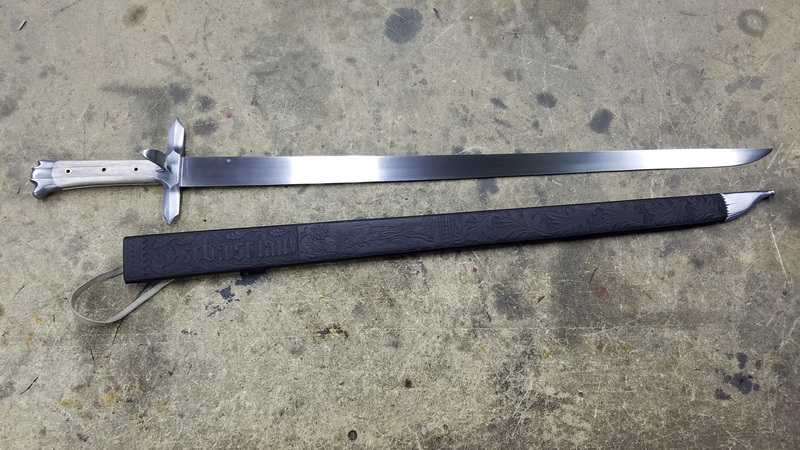 Here are the specs: Overall length: 38.5" Blade Length: 32.25" Grip length: 4" Balance Point: 5" Overall Weight: 1151grams or 2lbs 8oz. Check out my site for more detailed shots and other projects! Both of these pieces are extremely well done. What I like most is the overall look each package presents. 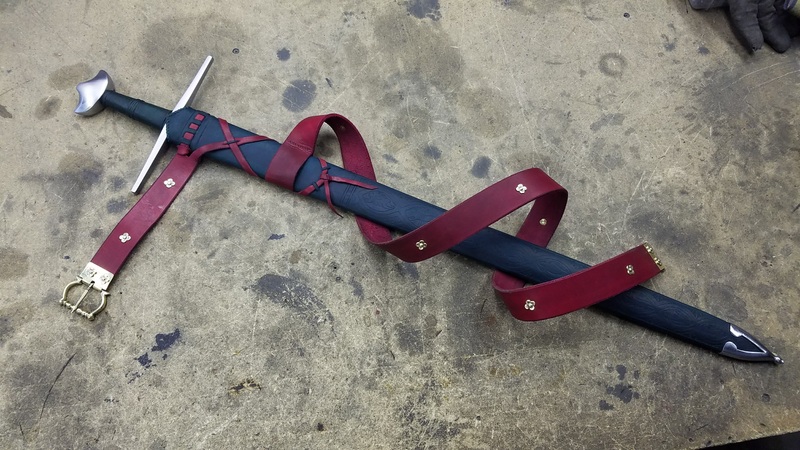 The scabbard, sword and rigging all combine to look "correct." Brilliant work, really. Like the extra detail work on them! Thanks guys! The messer hanging system was a suggestion by the customer so he would be able to hang it from any belt. The 13th century hanging system was fun as well, took a bit of planning because of the two colors used.